On paper, this does not look like it would be worth the $2,200 price tag, but it is important to remember that these are not designed for consumers like you and me. The use of the Atom CPU is supposedly to provide "software encryption and enterprise-grade security and management features." The touchscreen can be used with or without gloves, which would be very useful (I can attest). The FZ-A2 weighs 880g, which is just shy of two pounds. But there is good reason for that, I am sure. The battery is hot-swappable for on-the-go power, and some of those front physical buttons can be programmed to suit whatever is needed. Three sets of integrated configurations are available to choose from, all of which come with their own optional features. 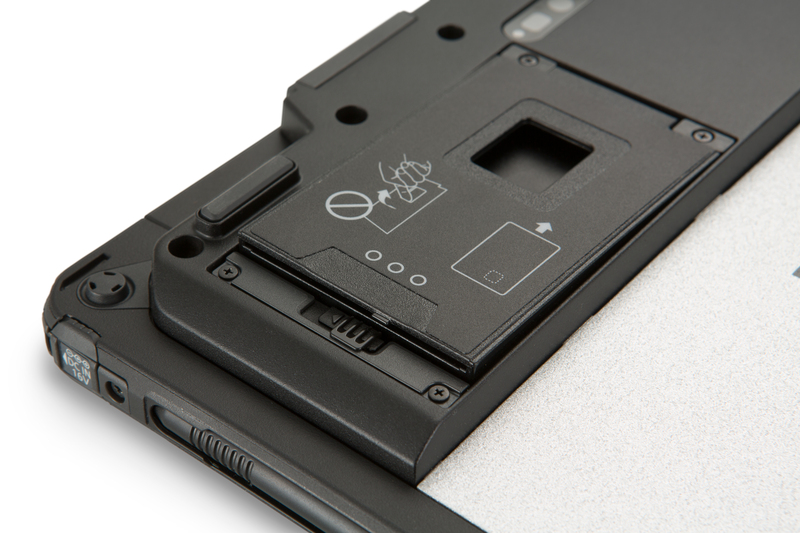 Some examples given were a built-in barcode reader for retail or warehouse applications, a Smart Card reader, or an extra USB port for peripherals. Users can also get forklift/vehicle mounts or desktop cradles for whatever they might need. 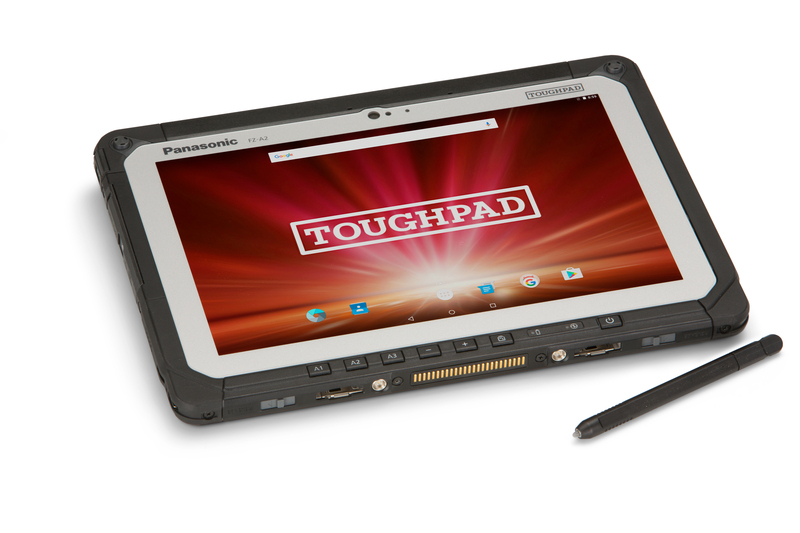 The Toughpad FZ-A2 is available today and pricing starts at $2,189 for the Wi-Fi only base model. 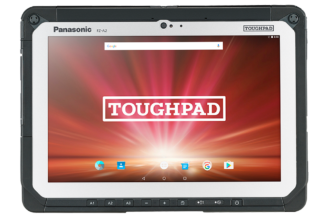 NEWARK, N.J.--(BUSINESS WIRE)--Panasonic, an industry leading manufacturer of mobile computing solutions that are purpose built for the way people work, today announced the new fully rugged 10.1” FZ-A2 AndroidTM Toughpad®, the latest addition to its Toughbook® family. Equipped with powerful enterprise class features, the FZ-A2 comes with the Android 6.0 Marshmallow operating system and Android for Work’s enterprise security built-in. 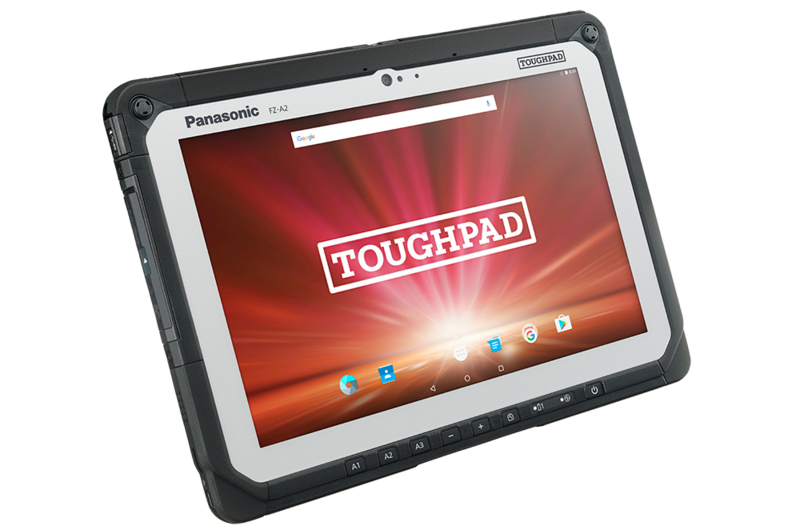 The fully rugged tablet is powered by an Intel® Atom™ Processor with software encryption for enterprise-grade security and management features. The highly secure platform is ideal for use in home health and other environments that must meet HIPAA requirements for enhanced data and privacy protection. 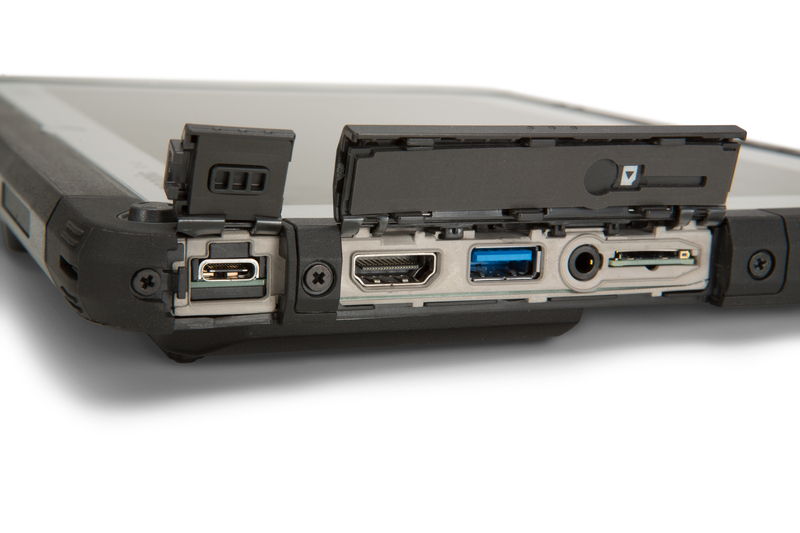 Users can select one of three integrated configurations each equipped with optional features, including an integrated barcode reader for retail kiosk or warehouse and distribution applications, a Smart Card Reader for enhanced security, and an additional USB port for increased peripheral device connections. The optional forklift or vehicle mount and desktop cradle accessories, combined with the tablet’s thin, portable form factor, provide the flexibility for workers to use the tablet as a handheld or mount the device for delivery and route driving. 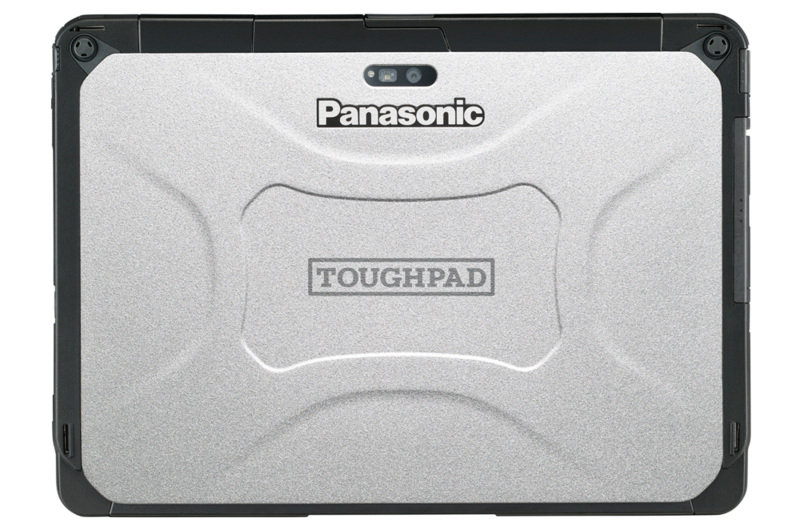 The Panasonic FZ-A2 tablet will be available on January 12 at a list price of $2,189*. 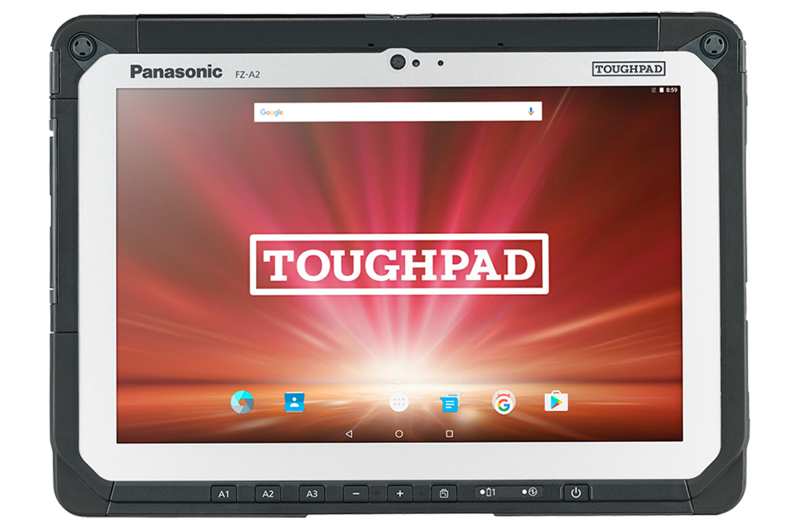 All Toughbook tablets can be purchased through authorized Panasonic resellers and come standard with the industry's most comprehensive 3-year warranty and 24/7 IT support. 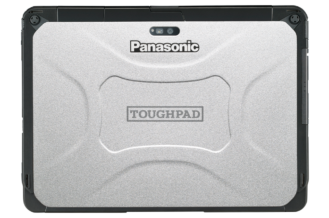 Sales inquiries for Panasonic’s Toughbook family of laptops and tablets should be directed to [email protected] or 877-803-8492. 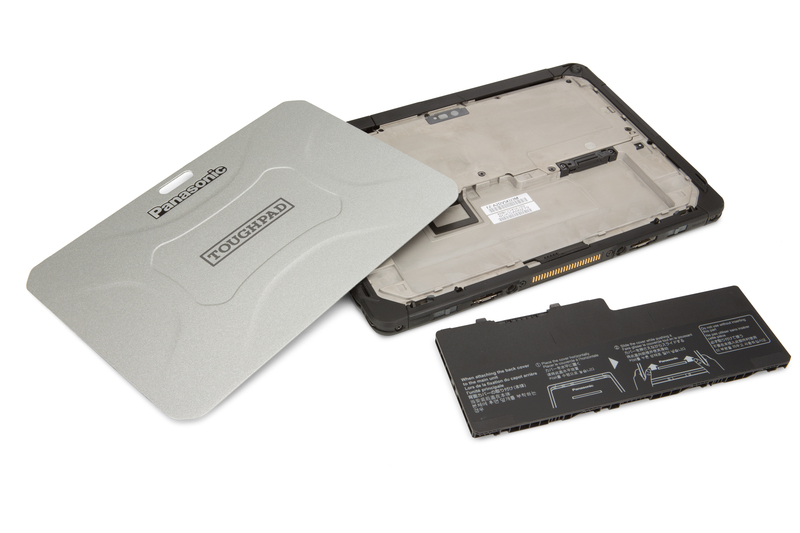 Besides offering the market leading Toughbook brand, Panasonic helps customers reduce the complexity of deploying and managing mobility projects through its ProServices suite of engineering consultations, premier disc imaging and device deployment services, training, mobility applications and break/fix depot support.